A big part of my youth went up to the rhymin' and stealin' heavens today. Adam Yauch. Beastie Boys. Humanitarian. Fought for people's rights. Including to party. Great pic snagged from the Atwater Village News blog. 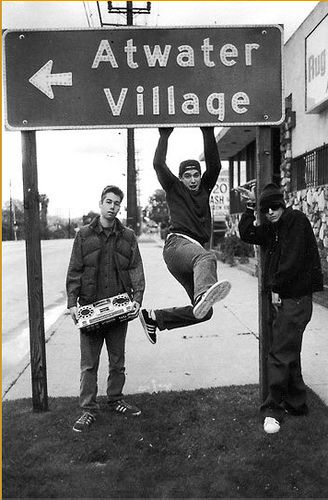 Beastie Boys "Time For Living"